Meet Our Vendor: Mountain Mel's Essential Goods | Discover the best artisanal and craft food makers in the Pacific Northwest! Discover the best artisanal and craft food makers in the Pacific Northwest! Come discover the best artisanal and craft food makers in the Pacific Northwest! 1) Where does your passion for food come from? I love food! I’ve been in the restaurant and bar industry for over 18 years. The creativity and delicious flavors I’ve seen and tasted over the years has been amazing! Yum! Food! 2) Tell us about your culinary journey. I started as a bartender, backpacking guide, and wilderness therapist. The wonders of nature fascinated me, and inspired me to learn more about plant medicine. Today I’m now trained as a clinical herbalist. I take pride in being able to dance the medicinal properties of plants with their flavor profiles to make herbal “medicine” taste great! *Though, it’s not really medicine, because plants could never truly heal you. *Insert FDA disclaimer here. 3) Where is your favorite place to eat? 4) Where do you source your ingredients? 5) Tell us about a new product you are working on. An herbal tea that screams, I want to play in the mountains! Also, a Ready To Drink line of herbal teas. 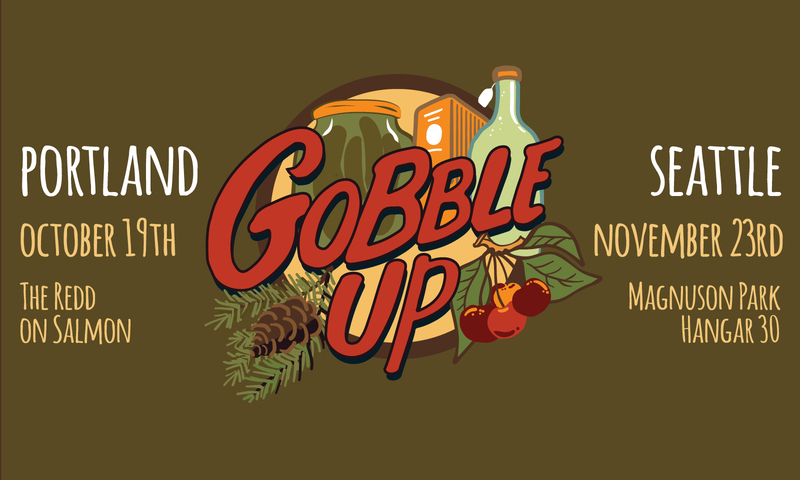 Gobble Up is brought to you by Urban Craft Uprising, Seattle’s Largest Indie Craft Show. For more information about the other shows and events we run throughout the year, please visit us here. Contact us at info@urbancraftuprising.com. If you are interested in sponsoring this event, please review our sponsorship guide and get in touch!